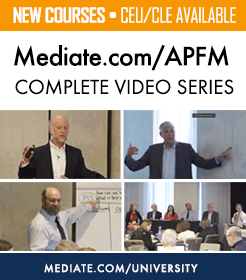 This session features a panel of seasoned and engaging leading divorce mediators. 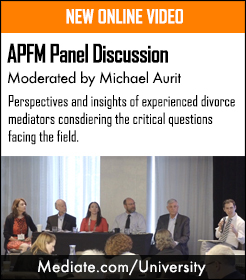 Complete with audience Q&A, and moderated by Michael Aurit, the esteemed panel considers the many critical questions facing today's and tomorrow’s divorce mediators. Featuring Donna Petrucelli, Jim Melamed, Chip Rose, Don Saposnek, Amanda Singer.